People I Want to Punch in the Throat: BUY MY BOOKS! Hello and welcome to my own private book store. Breathe deeply. Do you smell that??? 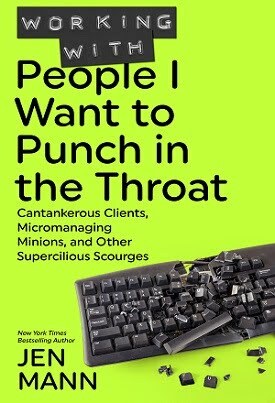 I tried to get the smell of books to waft out of everyone's computer, but apparently that technology doesn't exist. We're thisclose to self-driving cars, but we still can't make our e-readers smell like books??? What a waste of engineering skills. Anyhoo, this is where you can find everything I've ever written, so please take a gander at what I have and choose wisely. Actually, you don't have to choose wisely. You can have them all. There is no limit on your purchases. You're welcome. All of my books are available at all online retailers and some brick and mortar retailers. Many are available at your local library. 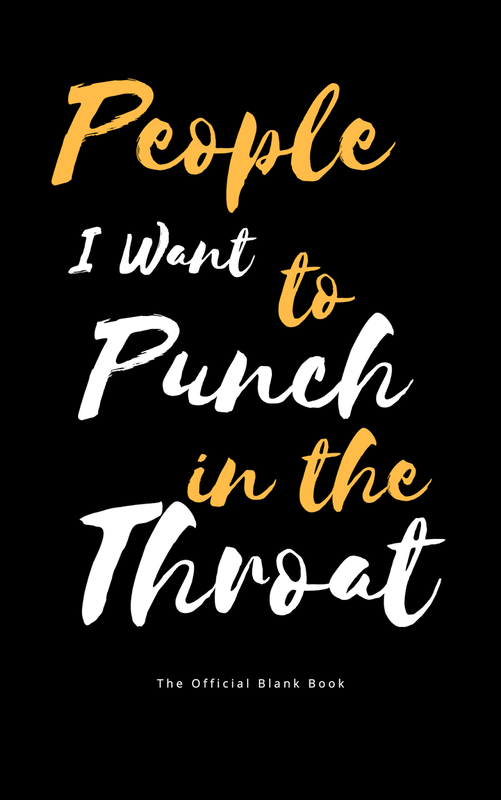 If you'd like to place a bulk order, email me for details at jenthroatpunch at gmail.com. 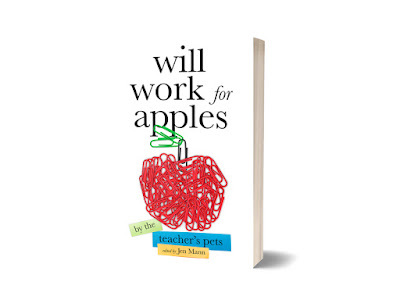 Will Work for Apples is now available! Teachers rock! Teachers have an impossibly hard job. We expect them to do everything! Educate our kids, tie their shoes, facilitate their arguments, grade their papers, sharpen their pencils, and more! And when a teacher isn't doing all these things, they're usually taking continuing education, coming up with lesson plans, figuring out new technology, answering student and parent emails, and buying supplies for the classroom. All without anyone really noticing. That's why we wanted to write a book that celebrates the teachers who made an impact on us. This book is a thank you to the teachers who made a difference in our lives and in our children's lives. Signed paperback shipped to you. - US ONLY. Sorry, international readers, but the Post Office charges more than the book is worth. But if you buy the book from your Amazon I'll send you a signed book plate to put in it. Email me for details. Get the only official blank book here! Everyone has a list and now you can make your own! Only available on Amazon! 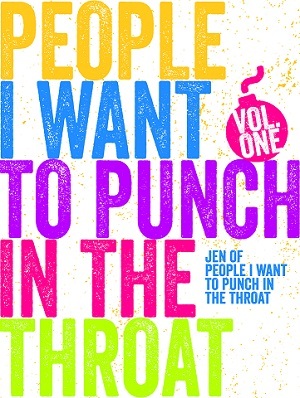 PEOPLE I WANT TO PUNCH IN THE THROAT SERIES - Nonfiction adult humor essays for fans of Jenny Lawson, Jen Lancaster, and David Sedaris. Over 800 reviews on this New York Times bestselling series. Order a SIGNED COPY from me directly! Hit the BUY NOW button below and fill out the text field telling me WHICH volume (#1, #2, or #3) you want, who to make it out to and don't forget to give me your address so I know where to ship it. This is available for U.S. only. If you are an international reader, email me. WHICH PIWTPITT did you want? Who do I make it out to? 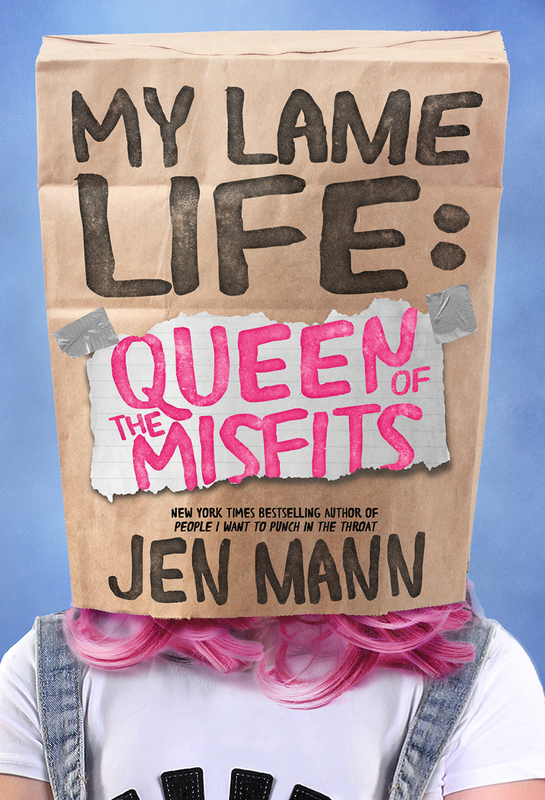 MY LAME LIFE SERIES - Young adult fiction for fans of Judy Blume, Meg Cabot, and Rainbow Rowell. QUEEN OF THE MISFITS (VOL. 1): My name is Plum Parrish, I'm fourteen, and I'm pretty sure I'm invisible. Not like super power invisible, more like loser invisible. There's a big difference. I live with my dad who doesn't realize that a job transfer to Kansas is not a promotion; my s'mother who thinks journaling, cheesy inspo slogans, and mani-pedis can solve my problems; and my twin brother Pax who is so perfect I'm convinced we share absolutely no DNA. Unfortunately, I'm not invisible to them. I love them, but they embarrass me on the daily. Honestly, they would probably say the same about me, because I'm weird, sarcastic, and just a lot. My best friend is ghosting me, and my other best friend is a teacher. The move to Kansas is my opportunity to reinvent myself and embrace my a lot-ness (yes, that is too a word). Sure, I will literally have to battle a live bat, a Queen Bee, and my unruly hair, but I will find my tribe and own who I am. Order a SIGNED COPY from me directly! Hit the BUY NOW button below. Please fill out the text field telling me who to make it out to and don't forget to give me your address so I know where to ship it. This is available for U.S. only. If you are an international reader, email me. 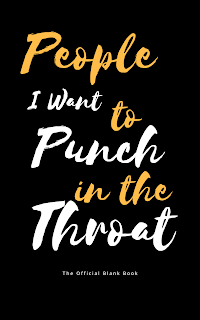 JUST A FEW PEOPLE I WANT TO PUNCH IN THE THROAT SERIES - Very short nonfiction adult humor essays available in ebook only. A great introduction to my writing style. 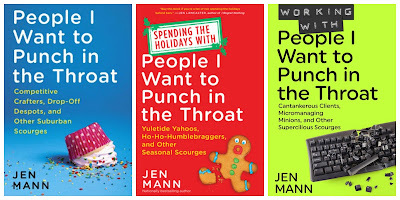 I JUST WANT TO PEE ALONE SERIES - Nonfiction adult parenting and relationship humor anthologies featuring essays from Jen Mann and her hand-picked contributors. Order a SIGNED COPY from me directly! Hit the BUY NOW button below and fill out the text field telling me WHICH volume (#1, #2, #3, #4, or #5) you want, who to make it out to and don't forget to give me your address so I know where to ship it. This is available for U.S. only. If you are an international reader, email me. Which IJWTPA did you want? If you are interested in buying in bulk, please email Jenthroatpunch at gmail dot com for more information. Done thru paypal - good luck with the sales! Can't wait to read your book as well. It's a good day, Jen. A very good day. All the best! Hi Jen! Kinda weird question. How are you shipping? UPS/Fed Ex or the regular mail? UPS/Fed Ex won't leave stuff at my apartment so I just want to know if I should have it shipped to work!! Thanks! So excited! Yay, I hate the holidays! 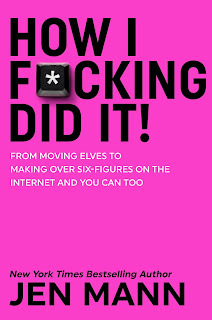 I just ordered your book! Just send me an e-mail with who and what you want the signature to say. I think The Hubs will be using US Postal service. First Class mail. I hope that works. Sweet! That is perfect! Thanks Jen! I also ordered through PayPal but didn't see where to add a message. How do I email you???? Sorry! I just downloaded and can't wait to read it! Congrats to you on your achievement!! Just order the book on Kindle. Looking forward to it. ordering a hard copy now....can't wait for it to be downloaded on my iPad....Can't wait to read, promote, and share with my little world! woot woot! (I had to click on 'add instruction or message for seller' to put in my name....FYI for the people that couldn't find it, it does not just have it, I had to click it). Just purchased it thru Paypal... Can't wait to get it!!!!! You're a true inspiration Jen! I Love PIWTPITT!!!! We got our copy in the mail yesterday...nothing like getting punched by the USPS. The book is great and thank you for the personalized comment to my DW. Just ordered my signed copy!! Looking forward to wrapping it up and having my kids give it to me for Christmas, cuz that's how I roll. Read your Elf post, looked at the Kindle preview of your book, got to the introduction of characters and KNEW I'd love your book. I can't wait to read it! I purchased the Nook version at Smashbooks but can't get it to download onto my Nook. Does anyone know how to solve this problem? My computer (with Windows Vista) is saying it doesn't have the correct file to open the "epub" format. I tried downloading 2 programs that said they would be able to do it but I still can't download the file onto my Nook. Help! Virginia, See below from Smashwords. Basically, if you attach your NOOK via USB to your computer, you can place it directly onto your NOOK - documents folder. How do I download books to the Barnes & Noble nook? Just bought this for my wife on my ipad! Great deal. Thanks for the Black Friday deal! I'm cracking up - did you know you're paired up with "Sh*tty Mom: The Parenting Guide for the Rest of Us" in the Frequently Bought Together section on the Amazon page?!? There's a Special Offers Available link right under the price so I clicked it and it brought me down the page to some buy 4 for the price of 3 thing but what caught my eye first was the Sh*tty Mom and Frequently Bought Together!! 1) my friend cindy used to like this blog she died suddenly a few month ago and I read it to remind me of her and also becuase I find it funny. 2) being in ireland, the kindle version means I get to read it *now* and let's face it, at a buck 50 that's pretty much a no brainer. I bought this right before Christmas. I loved it. Your description of your mother's Christmas decorations (and process for decorating) was exhausting and hilarious!! Great Job Jen! 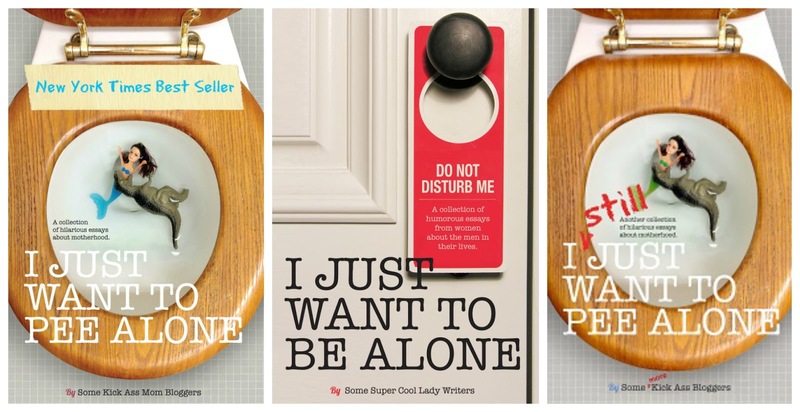 "I Just Want to Pee Alone" is one of the funniest books/anthologies ever! 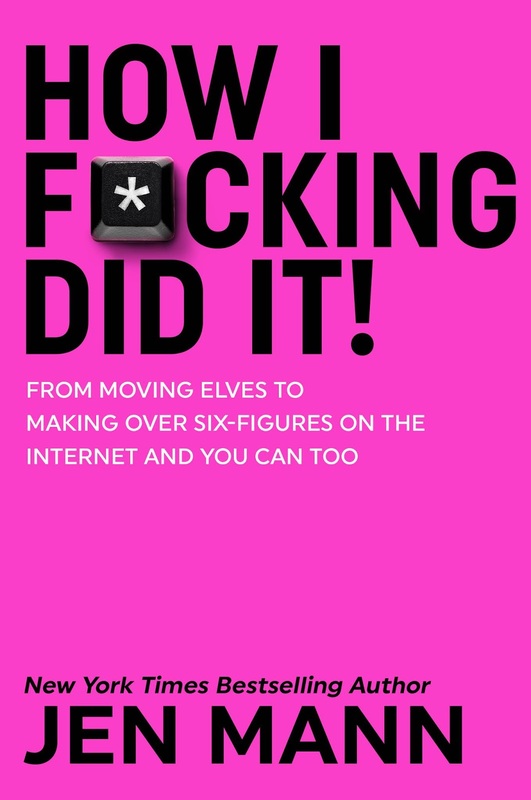 I bought the Kindle version so it's on my iPhone and I can read it whenever I need a laugh. Like when I'm waiting outside the Principal's office. Thank you! So you have any excerpts from the book? 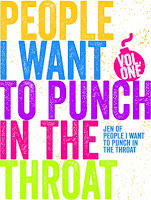 Omg I love your book People I Want to Punch in the Throat. I will so be reading the rest of your works. I am black and the racism chapter had me looking crazy but I can relate to everything you wrote about. This book is crazy good. Hey I'm a licensed massage therapist. We have heard and probably seen everything in a massage session. If you fart I will just leave the room for 5 minutes to let the air clear lol!Thankyou for your blog!